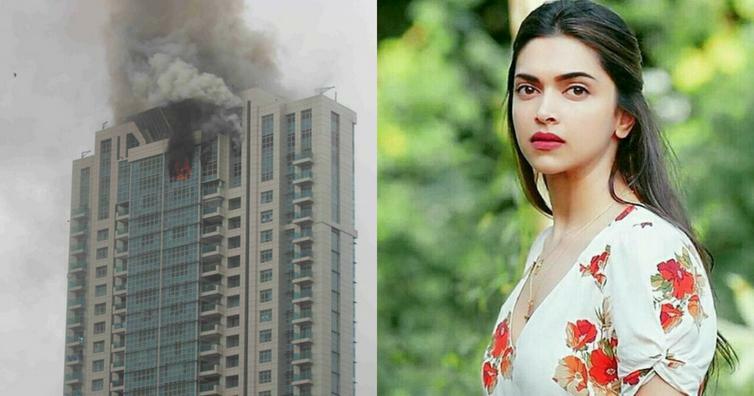 Firemen succeeded in controlling a major blaze in the top floors of the 33-storey Beaumonde Towers after battling the leaping flames for nearly five hours and evacuating more than 90 residents here on Wednesday evening.However, at least two firemen suffered from suffocation and were rushed to a hospital.Bollywood actress Deepika Padukone, who lives in the same building on the 26th floor, tweeted that she was safe and expressed her prayers for the well-being of the firefighters. "I am safe. Thank You everyone. 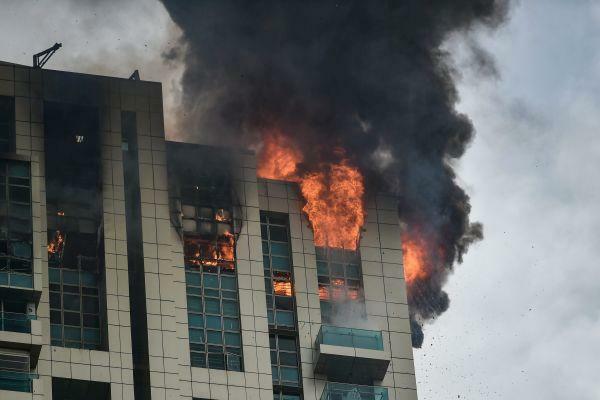 Let us pray for our firefighters who are at site risking their lives," she tweeted.According to BMC Disaster Control, the fire erupted around 2.10 p.m. on the two uppermost penthouse floors 33 and 32, of the five-year-old building, sending thick black clouds of smoke billowing from the tallest residential tower in Prabhadevi area of Dadar west.Later, after nearly three hours, the flames started spreading out on to the lower floors creating panic among the flat owners who include several celebrities, top share broker Anand Rathi and Amisha Vora, business and glamor world personalities besides Padukone. More than two dozen fire-tenders, including sophisticated lifts and cranes, were deployed to fight the blaze and there no reports of any casualties so far.After around five hours, the fire was brought under control and stopped from spreading to other lower or adjoining floors.The fire emanated from the flat whose owners are currently abroad, but their residence has been reduced to ashes, according to some society members.Padukone, who owns a four bedroom-hall-kitchen flat on the 26th floor was out for a shoot but her personal staff were among those who were evacuated this afternoon as a precaution. There were conflicting reports whether the safety and fire-fighting equipment in the building were functional or not in the three-building complex constructed by Sheth Builders in 2012.Local Shiv Sena legislator Sada Sarvankar also raised doubts over whether fire-safety norms had been complied or not for the building.Social media went viral with pictures and videos of the inferno shot from various close or distant locations, as the smoke clouds were visible at long distances downtown south and the suburbs, and the Bandra Worli Sea Link.